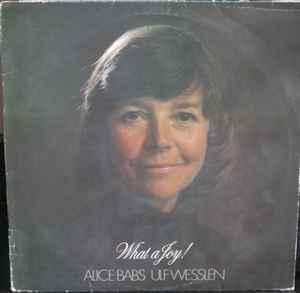 Alice Babs, Ulf Wesslén ‎– What A Joy! Recorded Mariakyrkan, Stockholm, Sep 9-10, 1980. Liner notes in English and Swedish.